Looking for a yummy breakfast recipe for this weekend, I came across your blog about adventures in life, food, and travel and your brioche recipe, I enjoy your post and most of all thank you for the recipe, I will definitely try it! 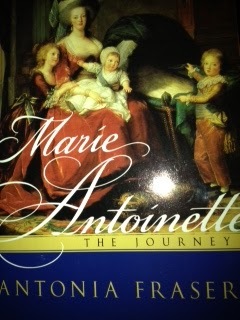 I also read an interesting subject on your blog about Marie-Antoinette. (From Tuesday, October 16, 2012, you pasted back on Let them eat brioche? October 16, 2016). As I translated some pages which included M.A (…..The statue shows some anachronistic details about the Empire-inspired dress worn by Marie-Antoinette. The former Abbey of Saint Denis is witness to centuries of the spiritual, political and artistic history of France, a masterpiece of gothic art and final resting place of the kings and Queens of France….). as I think it would be helpful to future visitors of the Gothic Basilica of Saint Denis http://uk.tourisme93.com/basilica/louis-xvi-and-marie-antoinette.html or to locate Marie-Antoinette tombstone on this map http://uk.tourisme93.com/basilica/map-of-the-tombs-saint-denis-basilica.html; and also know more and get practical information to plan their visit. Thank you for your time and consideration, do contact me if you have any questions or for any information on Paris for your blogs. How cool is that? I am very happy to post the links and maybe I have made a new friend! 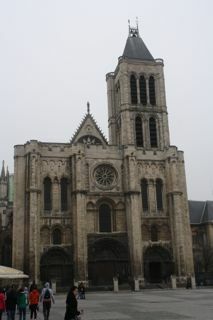 It makes me realize that I need to go back to the Basilica of Saint Denis and spend more time looking around. I never miss the opportunity to photograph a statue of St. Denis carrying his head on his way to Christian land to breathe his last breath. 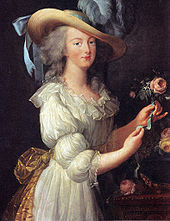 I looked at today’s paper and saw that it was on this day in 1793 that Marie Antoinette lost her head. Literally. In front of a crowd of bloodthirsty Parisians who had gathered for the day’s festivities. 223 years ago. My first thought was… I should blog about M.A. Even go back to my orange brioche recipe that I worked on over and over when I first moved to Arles. Well, fans, seems I have already done that. Oui. A few years ago. So… I will just copy and paste it from the old blog. But I might dust off that orange brioche recipe and give it another try. It really is good. Oh- and I still haven’t come up with the headless Halloween costume yet. This year’s costume is already in the works and that’s not it. Maybe next year? L’année prochaine peut-être? On verra. Well, boys and girls, tonight I was looking forward to a nice quiet evening of gubernatorial and presidential debates. But what should I see when I get to the “Today in History” section of the local newspaper? 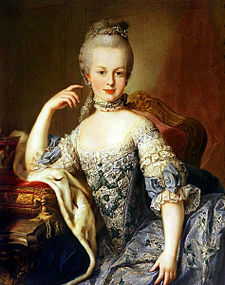 Today is the 219th anniversary of the death of Marie Antoinette. 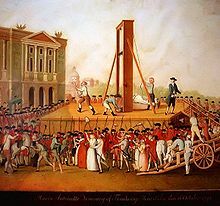 She lost her head on October 16, 1793 in what is now the Place de la Concorde in Paris. 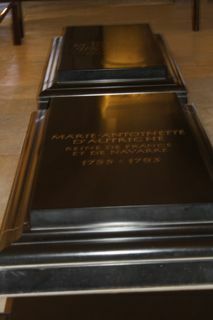 Marie was just short of her 38th birthday. Her body was tossed into an unmarked grave but exhumed in 1815 and taken to the Basilica of Saint Denis for a proper Christian burial. I visited her gravesite last March. 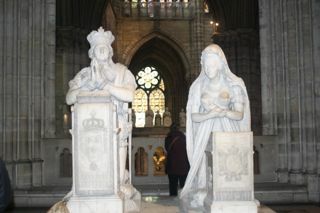 She is also immortalized in stone in Saint Denis, alongside her husband, Louis XVI. — She was the 15th child of Holy Roman Emperor Francis I and Empress Maria Theresa of Austria. — She didn’t take her education very seriously and had lousy handwriting. However, she was a good singer and dancer, could speak Italian and French in addition to her native German, was fairly proficient in English, was a decent artist, and had great poise– a queen in training, wouldn’t you say? — Maria Antonia, as she was called, had crooked teeth and the French didn’t care for that so before her marriage, she had to have very painful oral surgery to correct her smile and bring her up to queenly snuff. No braces back in the day. — After all the marriage negotiations, she was finally wed by proxy in Vienna. Her brother stood in for the bridegroom who couldn’t make the trip, I guess. She was handed over to the French at the age of 15 and headed for the palace of Versailles where another wedding ceremony took place. The mystery surrounding the consummation of the marriage plagued the newlyweds for years. A marriage of convenience? Perhaps the future king of France had problems? — Her mom was hyper-critical and her husband was not very affectionate. She turned to shopping and gambling. However, she did seem to get tired of fancy petticoats and lots of make-up and helped change fashion. — She birthed four children, two sons and two daughters, but one daughter lived less than a year. –“Let them eat cake.” Did she really say this? Supposedly, upon being told that the peasants had no bread to eat, she quipped that they could eat brioche, a sweeter bread than the usual baguette. — There is a fascinating story about The Diamond Necklace Affair at this website. I can’t possibly retell it and do it justice. Just click and read on. It was the undoing of Marie Antoinette. 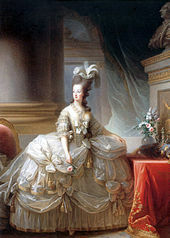 As I attempted to write this post about Queen Marie Antoinette, I quickly realized that I had barely scratched the surface and that I am very ignorant about her. I’ve seen the 2006 movie, Marie Antoinette, starring Kristin Dunst and didn’t care for it. 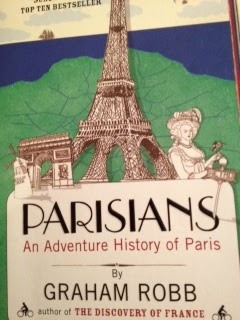 I just read a story about the attempted escape from Paris by the royal family in the book Parisians: An Adventure History of Paris by Graham Robb. I have this book in my bookcase but have not read it. It has now been placed just under the Graham Robb book and is next on my list. For the past four years (since spending Halloween in France and not dressing up), I have considered dressing up as her for Halloween. I think that this is a sign that the time has come. I have two weeks to get that costume pulled together. Got any good suggestions? Also while living in France, I decided to try to learn to make a decent brioche à l’orange. The B&B guests were served quite a bit of it. I discovered that it makes great French toast, too. I tried several different recipes and blogged about it here and here. 1 c. dried apricots (optional)- snip and add to dough during the second risingStir sugar into warm milk and sprinkle in yeast. Wait 5 minutes. Sift flour and salt together. Melt butter and cool slightly. Lightly beat butter and eggs into yeast mixture. Add orange flavoring. Add 2 cups flour and then slowly add more until a dough forms and you can knead in enough to make a smooth dough. Cover and let rise 60 minutes in a warm place. Grease small or large brioche pans. Take 3/4 of the dough and shape into balls. Use the remaining 1/4 to make small ones to place on top of the larger ones. Place in baking pans. Brush brioche with egg yolk and sprinkle with sugar. Let rise another 20-30 minutes. Preheat oven to 425 F. Bake 15 minutes or until golden brown. I have now looked through my Arles photos from 2007 and 2008 on my trusty MacBook and am feeling rather nostalgic. Did I really do that? Was that really me living another life en français in the south of France? Sometimes I have to pinch myself to believe it. It was a rocky road that got me there. Separation. Divorce. Leaving my friends and children behind. But I have to believe that things happen for a reason. I needed that time in France to find myself. I was lost. I didn’t feel needed here. Just reliving those feelings brings tears to my eyes. The guilt still builds up from time to time, but I find it easier to let it wash over me for a few seconds or minutes (instead of hours as it used to) and then let it go. I have had some professional help with that, mes amis. And I surrounded by people who support me and love me just the way I am. That’s the crucial piece. As my children have gotten older, I think they are better able to understand. I hope so. I still, and will always, consider myself a lucky woman. How about a few happy photos? Many, many thanks to everyone who loved and supported me then and who loves and supports me now. I couldn’t do it without you. Life is an adventure, n’est-ce pas?.